With each new film the Greek director Yorgos Lanthimos takes yet another step towards becoming a household name in the Western cinema, with many already referring to him as the Cronenberg or Lynch of our generation. 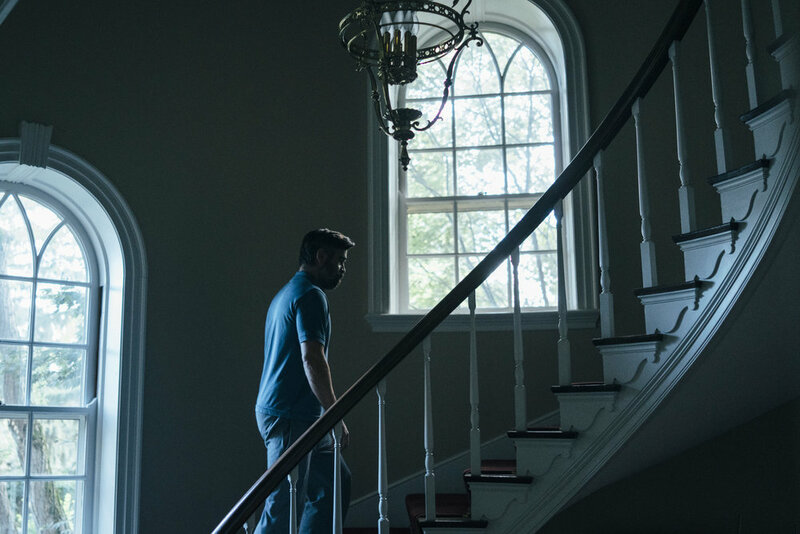 This year’s The Killing of a Sacred Deer is a nod to a Euripidean myth transposed into the modern world where Steven Murphy (Colin Farrell), a prosperous surgeon, leads an exemplary life with his exemplary nuclear family (Nicole Kidman as the wife, Raffey Cassidy as a 14-year-old daughter, and Sunny Suljic as the youngest son) until this idyll slowly transmogrifies into what can be described as no less than Michael Haneke’s Funny Games with psychological torture instead of physical, when the ostensibly charming boy Martin (brilliantly portrayed by Barry Keoghan) becomes the main character’s nemesis prophesying in shocking detail the upcoming deaths of his loved ones. The film is in many ways reminiscent of Greek mythology, both with the name referencing Iphigenia at Aulis (where Agamemnon accidentally kills a sacred deer and therefore has to sacrifice his daughter), and the view of human-god relations. Except here, unlike the biblical notion of a merciful and just God, what Lanthimos displays through Martin is the ancient Greek deity – an omnipotent being that is not only far from morally infallible but on the contrary, is very much cruel and vicious, his punishment of mortals far too often overweighing the crimes committed by them. It is also hardly a coincidence that the parents whom the sociopathic villainy of Keoghan’s teenager befalls, are both doctors - people of science - suddenly faced with something they can neither fathom nor remedy. While the film may not necessarily be a nihilistic statement on God as an inherently positive figure, it definitely entertains the idea of humans as nothing but pawns in someone’s game, their tragic fates often serving as entertainment for a bigger audience. This is most keenly felt when Lanthimos throws in absurd jokes or even goofy slapstick in the most inappropriate moments as if by inviting you to giggle he makes you complicit in his cruel ways of treating the characters. If I had to choose one word to describe the experience – I’d go with unsettling, in all ways imaginable, with the already trademark Lanthimos features such as dark and dry humour and effortless robotic deliverance of dialogue juxtaposed with the tragic narrative. In terms of cinematography, you don’t have to be a film aficionado for Kubrick sirens to go off in your brain as you see the wide angle, perfectly symmetrical steadicam shots, tracking the characters down the bright sterile hallways. Music-wise, Lanthimos still has not lost his love for string pieces (here by Sofia Gubaidulina and Kubrick’s favourite Gyorgy Ligeti) that crescendo as the tension rises, at times almost creating jump scares. The music is perfect in minor moments too. The amplified clicking of a dental floss by Nicole Kidman’s character or pasta slurping by Barry Keoghan’s Martin affect you on a visceral level. Although there are some seemingly unnecessary classic horror-genre gimmicks like Raffey Cassidy’s creepy rendition of Ellie Goulding' "Burn" (as if we already didn’t know that nothing good ever comes out of a child singing a joyful song a capella), in the end they only help to solidify your uneasiness in case you somehow remained immune to what was happening on the screen. Overall, as with his previous films, it is an aesthetically beautiful twisted amalgam of comedy and horror that will leave you slightly guilty for enjoying it. And although comparisons with Cronenberg and Lynch are not groundless, the director’s unique vision may in the long run earn him the status of “the Lanthimos” of his generation.